If you have been charged with the offence of drink driving/excess alcohol, then the prospect of a court hearing, a possible driving disqualification and a hefty fine can be extremely daunting and in some cases life changing. Here at Paul Crowley & Co, our team of expert Motoring Solicitors are on hand 24 hours a day to provide specialist advice in this area. Drink driving cases can be complex, each case is unique and will not always be straightforward whether you intend to plead guilty or not, or whether you are not sure. Our solicitors will go through the circumstances in fine detail to ensure that the police have followed the correct procedures during your arrest and detention. They will establish whether you have a defence to the charge, and if you wish to plead guilty to the offence, our solicitors will present your case at court in order to get the best result possible for you. 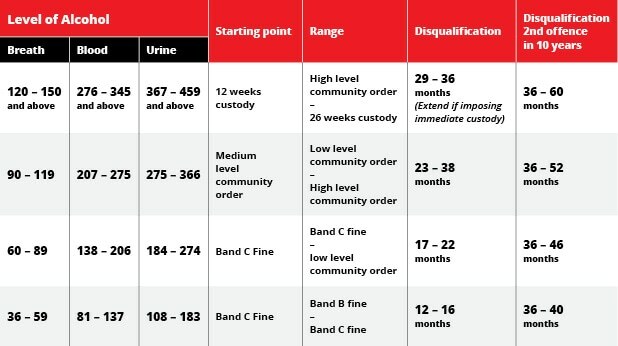 If you are a first time offender pleading guilty at the earliest opportunity, the Magistrates Court will refer to the sentencing guidelines below when considering your sentence. If you have a previous drink drive conviction within a 10 year period prior to your current allegation then the minimum sentence will be 3 years. As can be seen, if you have been found guilty of this offence then you will not just be facing a driving disqualification. Whilst a driving disqualification of at least 12 months is mandatory, you also face receiving a rather hefty fine, or a community order, and in extreme circumstances, a custodial sentence. Quite often, people are not aware that drink driving offences can result in custodial sentences and whilst this only occurs in extreme circumstances, we always advise anyone facing this charge to have legal representation at court. 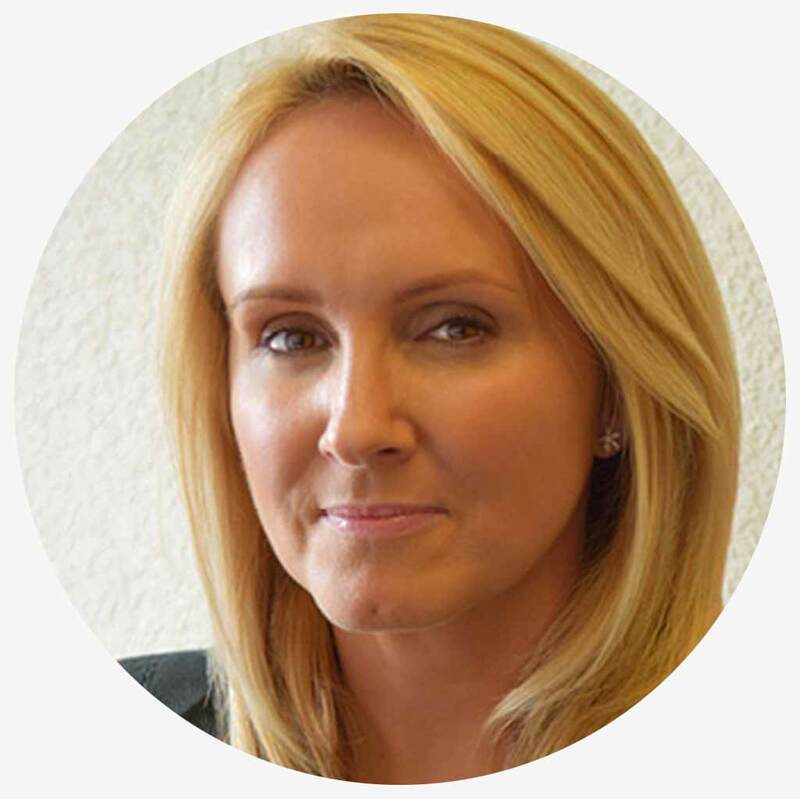 Our expert solicitors have a proven track record of securing our clients the best possible sentence when pleading guilty or being found guilty of this offence. This list is not exhaustive and our expert solicitors will consider all of the facts to establish not only whether a defence is available to you but whether police procedures have been followed correctly and whether your specimen of breath, blood or urine has been taken correctly. In some cases, there may not always be a defence to the charge, however, in certain circumstances there may be special reasons as to why the offence occurred. Special reasons can include circumstances such as a spiked drink, driving due to an emergency, or driving a very short distance. Whilst a special reason is not a defence it can be an argument put before the court to not impose a disqualification. This is a particularly complicated and technical area of law and one that requires specialist knowledge and expertise. The court will take into consideration many other factors such as the reason for driving, the manner in which the car was driven, the driving conditions, the state of the vehicle and the possibility of danger to other road users at the time. It is always advisable to obtain advice from an expert well in advance of your hearing to establish whether you have special reasons and to effectively prepare your case.